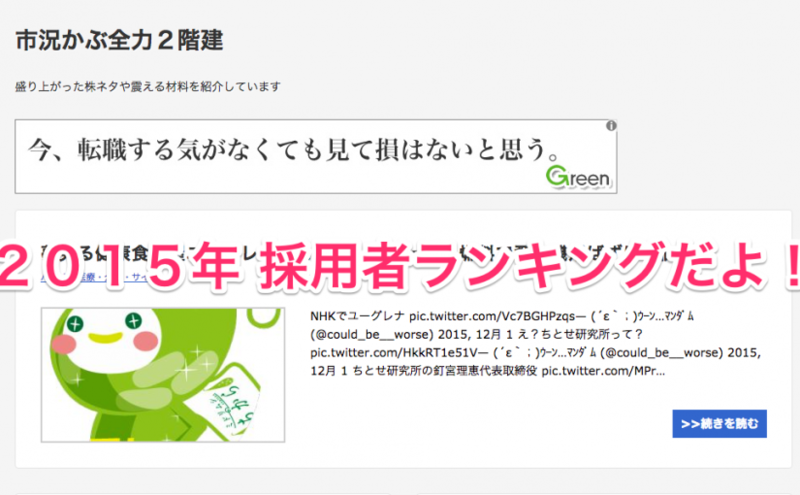 Put Twitter account name into the form, then press Enter key. 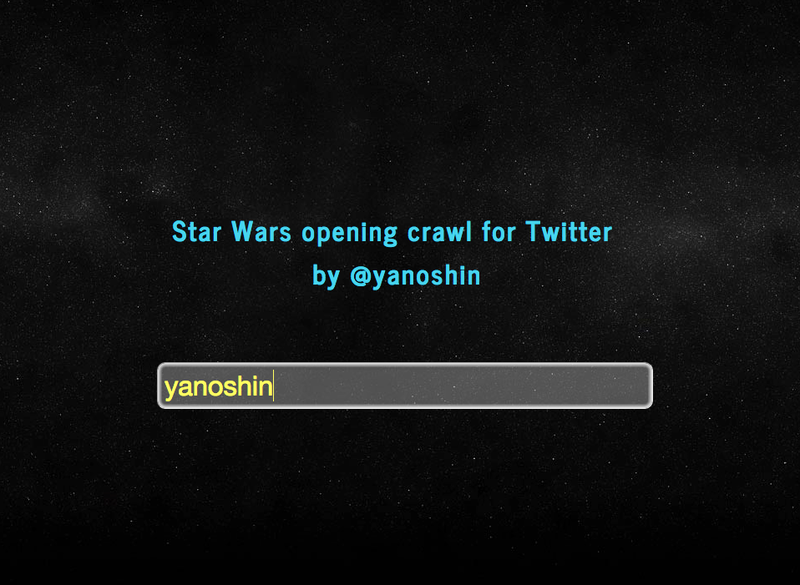 You’ll watch?Star Wars opening like Twitter timeline. 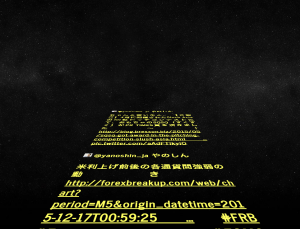 Now, I wrote some code which makes Star Wars famous opening on Twitter timeline of you. You can follow these steps below, and will be able to experience it. 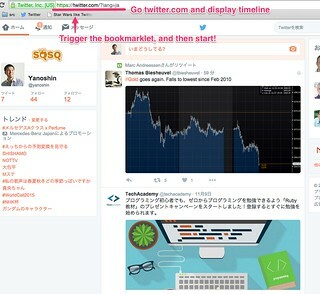 Add the bookmarklet to your web browser. 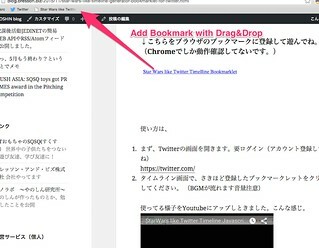 I have checked Google Chrome on Mac OSX. 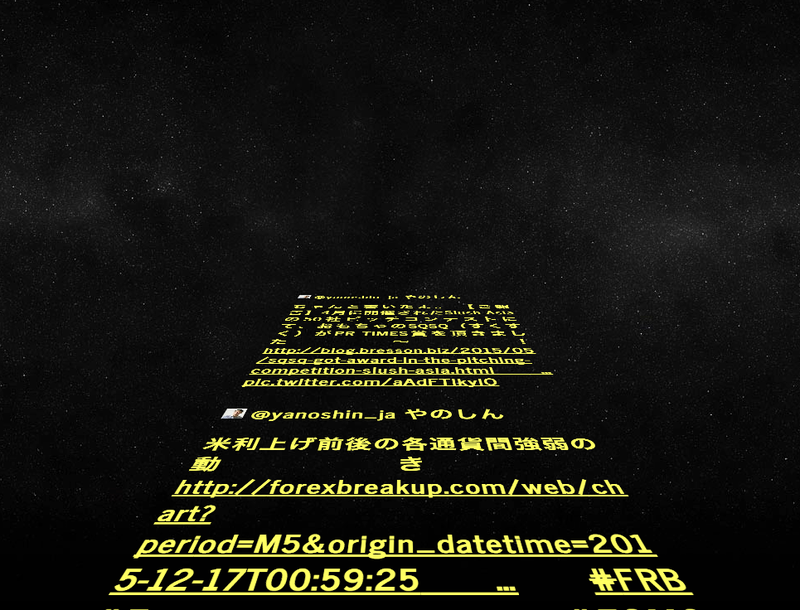 Maybe, Safari will work too. ?MSIE? What’s that? 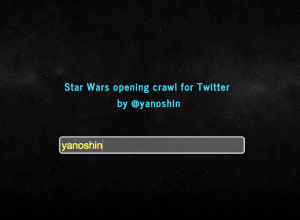 Open Twitter.com site, you need to login. 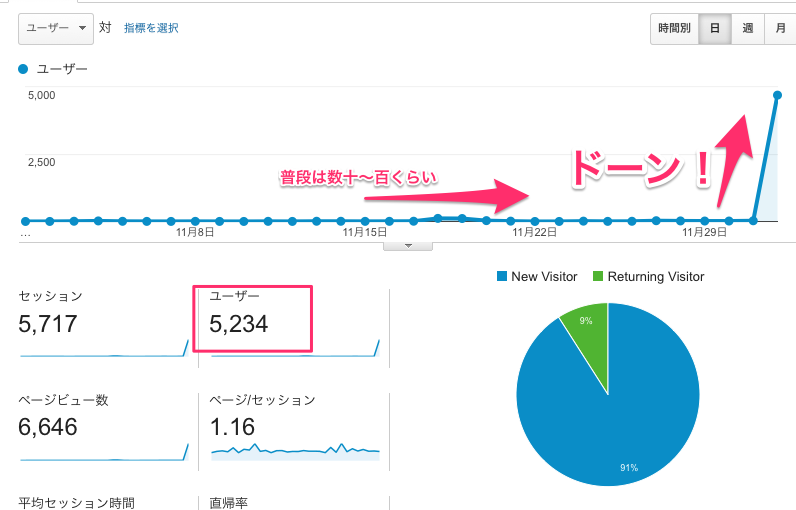 Click the bookmarklet you added at 1., then it’ll start. I put my code written roughly on my Github.